For-Profit And Online Education: What's Going On? : NPR Ed Even as regulations weaken, for-profit colleges struggle to stay afloat. In March, EDMC, which held three struggling for-profit chains with a total of 65,000 students, was sold to a Christian missionary group. In May, the flagship public Purdue University acquired Kaplan's online students for $1. In July, two coder bootcamps, Dev Bootcamp and the Iron Yard, both shut down after being acquired. The bootcamp model of accelerated, in-person computer science courses leading directly to jobs had been heralded nationwide. We covered Dev Bootcamp in 2014 with the headline 12 Weeks To A Six Figure Job. In October, another bootcamp, Flatiron School, was fined $375,000 by New York's attorney general for inflating its promises to students. Two weeks later, the coworking startup WeWork bought it. 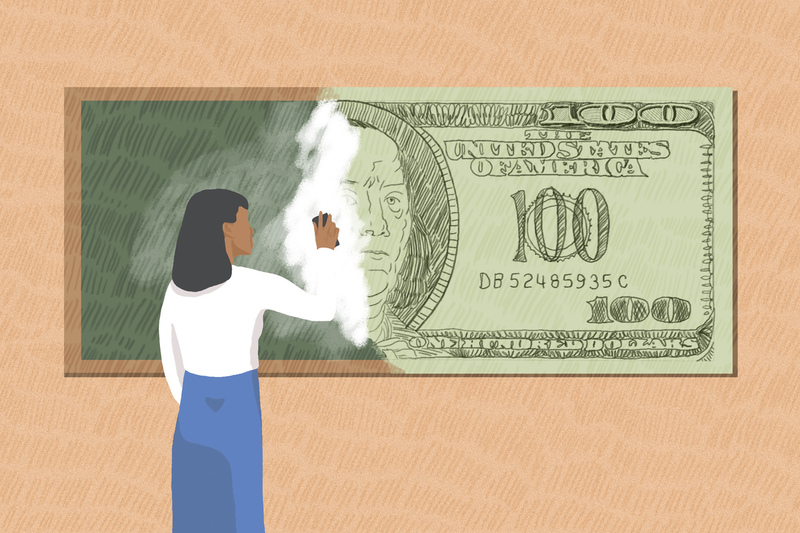 In November, AltSchool, a K-12 education startup that had raised $175 million, announced it was closing several schools. And, in December, DeVry University was sold to a much smaller company after losing more than half of its students. All of this is taking place despite a extra-friendly climate in Washington toward for-profit schools. Education Secretary Betsy DeVos has begun a "regulatory reset" on Obama-era for-profit regulations and hired several industry insiders to work for her at the department. And for now at least, the Consumer Financial Protection Bureau — a federal watchdog — has a new director appointed by President Trump who promises to be much more lenient to the industry. The recently-introduced Higher Education Act bill, while still far from becoming law, has many provisions the for-profit industry has been asking for as well, like a permanent end to the "gainful employment" rule. "Their reputation is awful," Bryan Alexander says of for-profits. "They are known for being responsible for an outsize chunk of student debt and defaults. They have often acted in a predatory fashion towards society's most vulnerable." "For-profit colleges have a fundamental brand problem," agrees Daniel Pianko, co-founder of University Ventures, which invests in education companies. "Even under the Trump administration, the brand is so damaged that they are shuttering, or closing, or selling for a dollar." Karl McDonnell takes a more nuanced position. He's the CEO of Strayer Education, a for-profit college with 42,000 students and a better reputation than most. "We like to think we're a good actor. We've been in business for 125 years and we take a long-term view. It's obvious that there were bad actors [in the sector] that took a different view." Strayer hasn't weathered this period entirely unchanged; the college announced in October that it is merging with Capella University. Pianko points to the Kaplan-Purdue acquisition and the Capella-Strayer merger to predict that we may be heading for a future of fewer, bigger for-profits. "It's a winner-take-most market just like tech has been for many years." That's doubly true, Alexander observes, because overall higher education enrollment is sliding, and has been for half a decade. Scale is a big issue for the coder bootcamp sector especially. Alexander, the educational futurist, calls them "important" but a "very narrow slice," of the job market, which has made it hard for them to reach stability. Strayer Education bought a bootcamp called the New York Code and Design Academy, in 2016. Strayer's CEO, McDonnell, says that the division lost $6 million its first year, in part because they failed at attracting enough students outside of New York City. "I told them, I don't care if you make money, just don't lose any more money." Still, he sees a lot of potential for the idea of short, hard- and soft- skill degree programs that sit "between a high school degree and a college diploma." McDonnell calls the space "nascent" and speculates what other types of jobs may be "bootcampable"—fine arts? Data science? Compared to several years ago when for-profit enrollment was at a peak, all these experts point out, one big thing has changed. "Southern New Hampshire. Arizona State. Western Governors'. Now Purdue," says McDonnell. "Who can argue that online isn't the future of learning?" [SNHU has 63,000 students; ASU has 72,000; WGU 86,000; Purdue 74,000 online and on campus]. That future, for for-profits and the rest of higher education alike, also means keeping up. First, in terms of technology. Second, in terms of how programs are structured. And third, in terms of what is taught. As for the tech itself: Online doesn't mean just a video lecture and a couple of forum posts. McDonnell says Strayer is using technologies like artificial intelligence and predictive analytics today to teach vastly more students with fewer humans and yet, better outcomes. As for how programs are structured: "A regulatory environment focused on faster and cheaper pathways to employment is going to drive substantial changes in the traditional higher ed model," Pianko predicts. And, says Alexander, higher ed has to "scramble" to support people in "the gig economy—rapidly moving from job-to-job, career-to-career." As for what is taught: "Automation is beginning to shake up all of society," Alexander says. For example, the skills taught in coder bootcamps, while cutting-edge today, may be eliminated by a future generation of machines that essentially program themselves. How much of what is now being taught from Pre-K to grad school is going to be "irrelevant or drastically changed?" he asks. This may be the biggest challenge of all, for schools, students and society as a whole.